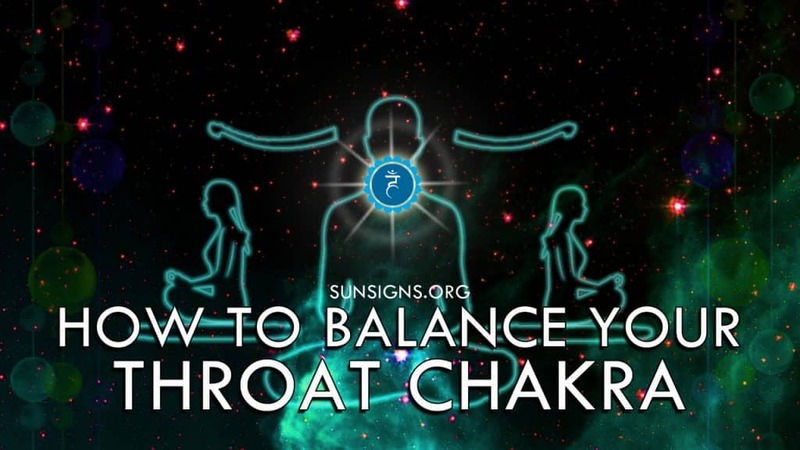 Home » More... » How To Balance Your Throat Chakra? How To Balance Your Throat Chakra (Vishuddha) ? Your throat chakra (Vishuddha) is the regulator of communication in your life. Once you’ve opened it, how can you keep it open? The people in your life might immediately notice that you have suddenly became much more easy to communicate with. They seem to understand your thoughts more clearly, and you, too, came to be able to read the thoughts and intentions of your colleagues and family members precisely. You notice, however, that recently some of those old problems have been cropping back up. You misunderstand what someone said, someone takes what you said the wrong way, you can’t find the right way to tell someone something and it just ends up being trouble. What happened? Odds are, your Throat chakra is blocked up. The thing about your throat chakra is that it’s all about intent. How you say something greatly affects and is affected by the energy in the Throat Chakra. when you say something that is meant to be hurtful, on purpose, that partially blocks up the energy channel to your Throat chakra. Being honest and being hurtful are two different things, and they both rely on intent. Get a tuning fork. Any note will do. Sit in a cool and dark room, as silent as possible. Strike the tuning fork, and then put the contact point of the fork against the front most portion of your chin bone, so that you can feel it resonate through your head. Let the sound die down completely, but just feel that tone. When it’s died down, strike it one more time, and move your voice to make the same note. Don’t make any words. Just “hmm” and match the frequency of the note. Hold that frequency until you no longer have breath. Take in a deep breath, as deep as you can manage, and find that frequency again. In this way, you start at the point that represents the center of the balance of the voice, and then clear both everything below and above it, coming back to the center and resting there. However, this is less like a snowplow and more like a toothbrush. You will likely need to do it several times over. I recommend three times in one session, but no more than that. Enjoy! Previous How To Balance Your Third Eye Chakra? Next How To Balance Your Heart Chakra?